Reinkers + Baby wipes = Cool stamping technique! 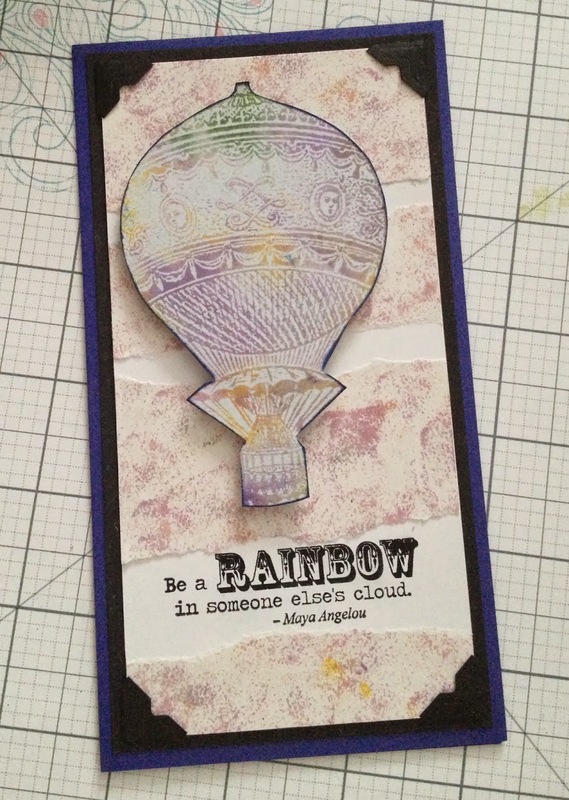 The creative ladies at Club Scrap Creates have a great tutorial on their blog. They are challenging us to try this technique, and I hope you will give it a try! I don't need to recreate the steps for you, because you can find the complete tutorial here, so I'll just show you my creations. First, I played with the large flower stamp from Hopes, since the tutorial mentions using solid stamps. The top two samples are made by getting ink directly from the inked baby wipe. For the bottom two, I used a separate wipe to pick up the ink from the inked baby wipe and apply it to the stamp. My deep colors are now pastels! This stamp from Hopes works well, too. So does the large feather stamp from Take Wing! Again, I applied ink directly from the inked baby wipe, then got a pastel effect using a second wipe to apply ink to the stamp. The tutorial also mentions using a second baby wipe to apply ink to card stock in various ways. I like the middle one especially; in fact, I tore that piece of paper to use on my final project (and challenge entry). Despite not being a solid stamp, it has a compact, detailed design that works well with this technique. Here's my final card. Thanks for making it to the end of this blog entry. Hope you join me on October 30 for Club Scrap's blog hop featuring this month's kit: Lock & Key. So pretty!!! Thanks for joining our challenge Lisa!! Oh, Lisa! 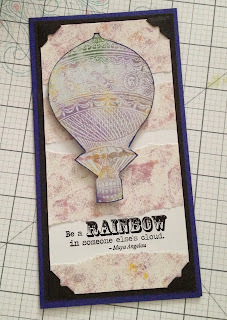 I love the colors and stamps you used. The Up, Up & Away card turned out great . . . proving you don't have to have a solid stamp to make this technique work. TFS! Thanks, Karen. First time using that stamp--love the multi-colored effect! Lisa, looks good-man I love that feather stamp!